If you're a fan of animation, odds are you already know the Ottawa International Animation Festival—it's considered by many the top animation festival in North America. For one night Ypsilanti's Riverside Arts Center will host a "best of" program from their 2018 edition. 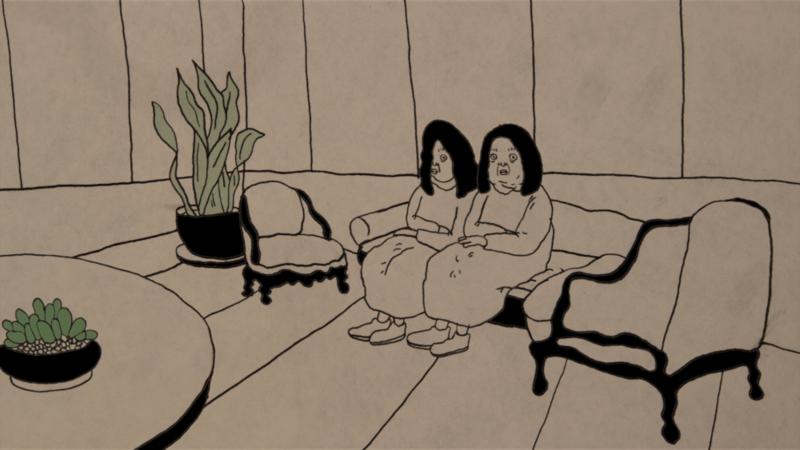 The Best of Ottawa 2018 showcase offers a sampling of exceptional animated short films that explore moments of humor, profundity and inspiration. The works in this collection provide a unique cross-section of some of the best contemporary film artists from around the world. Founded in 1976, the Ottawa International Animation Festival is the oldest and largest animation event in the Americas. For 42 years the OIAF has been exhibiting the world’s most edgy, eclectic and mind-blowing animation content, celebrating traditional techniques while pioneering experimental and computer-animated films. As Sean anxiously awaits a meeting in the local pub, he is forced to explore his own unhappy memories and relationships in an evening that will that will leave him changed forever. Using a macro lens, the artist focuses on the magnified details of inks, stencils, and printed media. Traditional media is brought together with chaotic digital music to create an immersive audio-visual experience. KENSINGTON MARKET depicts the evolution of a small shop within a vibrant community as new arrivals make their home in Canada. This is the 88th short in the Heritage Minute series and the first to be fully animated. A Man and a Woman meet in a waiting room and immediately get closer to each other. They commence a game that gradually gets more and more ferocious. Their faces resemble masks while shapes slowly lose their integrity. III is a portrait of a woman in an exhausting relationship with a man, which allures and repulses at the same time. The film is the third part of the triptych, IMPOSSIBLE FIGURES AND OTHER STORIES II. Filmmaker Charlie Tyrell seeks to better understand his emotionally distant late-father through the personal belongings he left behind... including a stack of VHS dirty movies. Narrated by David Wain. The journey of individuals and their creations through time and space. Any meaning of action is only existent from the perspective of the individual, but never mandatory when looking at it from the perspective of a solar system. It’s about the melancholy of accepting chaos as beautiful and cosmic. Learn about upcoming film and art events in the Ypsilanti area.